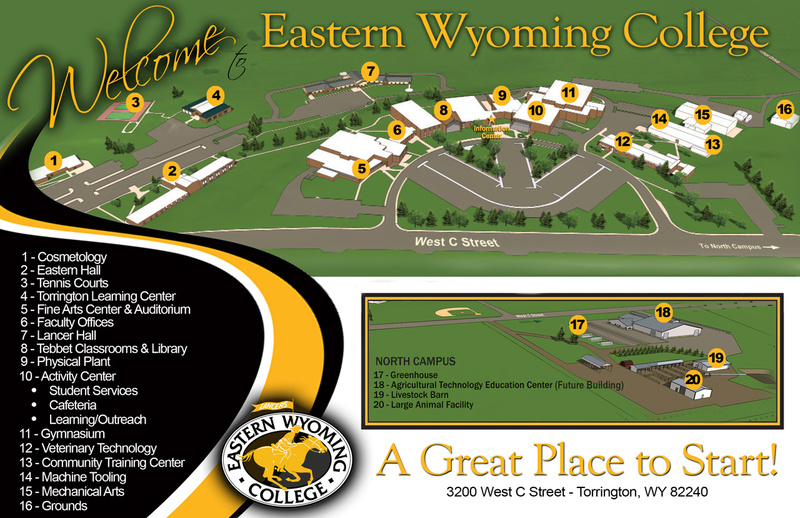 Ways to Give - Eastern Wyoming College - It's A Great Decision! Access to and support of educational opportunity through scholarships and support of student materials such as books and classroom materials, and through acquisition of enhanced technology in support of classroom instruction. When required, expansion of campus facilities through major campaigns. The Eastern Wyoming College Foundation receives and manages private gifts as endowments, trusts, outright gifts, reserves, and cash. The Foundation’s investment activity is conducted by the Finance and Investment Committee of the Board of Directors. The Committee manages and invests gifts within its approved investment and expenditure policies. Investment policies are designed and intended to preserve or increase the value of gifts for long term support of the activities noted above. Endowed funds are created by donors in conjunction with the Foundation to provide permanent capital and a dependable source of future income for the college and its students and are not managed in reaction to changing economic trends or circumstances or administrative changes within the Foundation or College. Cash Gifts of cash or check are the simplest way to make a contribution. Gifts may also be made by credit card by phone through the College’s office of Institutional Development. Checks should be made to the Eastern Wyoming College Foundation. A pledge allows you to make a contribution over a period of time, and can allow you to make a significant impact. Pledge reminders are sent to you on a schedule that you determine. Gifts of real estate or tangible property are accepted by the Foundation based on negotiation with the donor. Significant tax advantages may accrue to donors as with gifts of securities. The Eastern Wyoming College Foundation accepts in-kind contributions that can be either used by the college or sold to support college programs. Examples of this type of contribution include artwork, equipment, collectible books or other items that have value. The value of an in-kind gift cannot be established by the Foundation for tax purposes, and must be valued by the donor. Many companies and businesses offer their employees the opportunity to match charitable contributions. Gifts from these employees can often be matched on a dollar for dollar basis, however you should contact the Human Resources department of your company to determine if this benefit is offered. This information is not intended to serve as legal advice. Please contact a licensed attorney for clarification of any information contained herein.